To become memorable and impactful communicators, business officers must learn to balance analytical data points with personal stories and anecdotes, says former Pixar story artist Matthew Luhn, who is first up on the main stage at the NACUBO 2018 Annual Meeting. 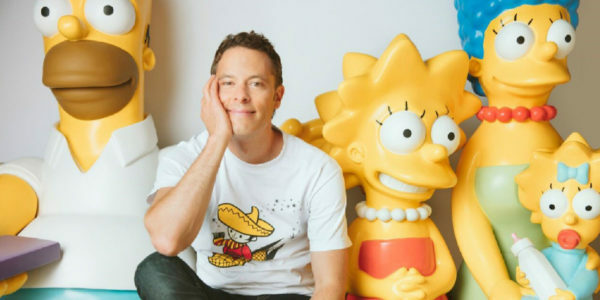 Knowing that Matthew Luhn—storyteller and consultant—grew up with parents and grandparents who owned the largest toy store chain in the San Francisco Bay area, some might think that he was destined to work in animation, breathing new life into two decades’ worth of family-friendly TV shows and movies. Surprisingly, though, it wasn’t the hours that he spent in his family’s toy store that ignited Luhn’s passion for the arts—it was his dad, with a dream of becoming an artist for Walt Disney Studios, who gave him the inspiration. By the time Luhn got to high school, his dream was to attend the California Institute of the Arts. He was accepted, but completed only one year of coursework before being offered a job to work on the animated sitcom The Simpsons. At 19 years old, Luhn became the youngest animator to work on the series. It was there, during his work on The Simpsons, that he was able to hone in on his true passion—storytelling. He eventually left that show to work for Pixar as an animator, with hopes of moving into a storytelling role. Unfortunately, after working on the never-released original Toy Story movie, he was laid off from Pixar. However, he used this time to learn how to write stories and take on freelance writing jobs. Remaining committed to his passion eventually paid off for Luhn when Pixar called to offer him his then-dream job as a story artist on Toy Story 2 (a job he was originally denied due to inexperience). From there, he went on to help create the characters and stories for some of Pixar’s biggest films, to include Monsters, Inc., Finding Nemo, Cars, Ratatouille, Up, and Monsters University. With more than 20 years of experience in creating funny, engaging, and relatable stories and characters for Pixar, Luhn realized the impact of storytelling in communications, and how a story—regardless of how small—allows you to connect with your audience and leave a lasting impression. Today, he works as a writer— with a book due this summer-—story and branding consultant, and creative writing instructor, and he trains CEOs, marketing executives, directors, and other professionals on how to craft and tell engaging stories that resonate with stakeholders. In an interview with Business Officer magazine, Luhn shares his expertise on the importance of storytelling in communications; why storytelling makes you a better communicator; and effective strategies for seamlessly weaving in personal/success stories to not only make them memorable, but to gain buy-in on your ideas. You began your career as a 19-year-old animator, in part, because your family’s toy store immersed you in comic books, toys, and cartoons. What encouraged you to become more interested in the characters and storylines, and how did that affect your work? It was mostly because of my dad. Even though he ran the toy store, that was his real passion—to be an animator. He surrounded me with everything that was animation or movie related, and it was those things that made me want to create and draw different characters. You decided to transition from animation work to the story department. What kind of effort did that take and what did you learn? I was working as an animator on The Simpsons, and I ended up stumbling into the story room where each one of the episodes was being written. It was in there that I realized what I really wanted to do—tell the story. It’s what interested me the most in the animated and live action movies that I would watch with my dad—seeing how the characters were changing the story. The transition from animation to storytelling was a process. By the time I arrived to work on The Simpsons, the writing team was already in place. So, I needed to find a way to get into a company and then transition into the story department. At the time, I had some friends working at Pixar, and even though it was a company that only produced commercials, they were in the process of developing the Toy Story film. I saw that as a good opportunity for me to go in as an animator, and then make my way into the story department. That’s how that transition happened. What were the different skill sets that you had to develop to become a storyteller? Animators focus on animating scenes or shots. When you’re dealing with a story, you’re thinking about the big picture, so you have to step back and focus on it holistically. Some of the things that I had to add to my skill set were the techniques of storytelling—the character arc, story structure, and plot points. Those were things that I ended up having to learn more about to become a better storyteller. What are the elements of a compelling story? We know that there are pieces to a story: a hero, a goal, a set of obstacles, and a change that the main character goes through. In order to develop a story, along with those kinds of characters and those points, you need to create a narrative that hooks and connects with the audience, feels authentic, and has a good structure. Going even deeper, there are a couple of other things going on: theme line and plot line. That’s usually as far as most storytellers take it. They end up dealing with the theme line and the plot line, also known as external and internal stakes. Do they want to save the princess? Do they want to stop the villain from oppressing their community? There are also the conflicts within the character when he or she has to overcome something. Maybe they’re afraid of water or afraid of getting into a committed relationship again. To go even deeper, though, there’s also the psychological stakes. These are the things that leave people with a theme at the end of a story, like ideal versus self, or community versus individual. At the end, the character and audience are going to be changed. It will leave the viewer with a theme, a takeaway, and/or a feeling. But, the real magic of storytelling, along with informing and educating, is inspiring people to change. And, that is what people in business hope to achieve. You make a good point about people in business. Can you explain how business officers can use storytelling effectively in their line of work? How can we simplify, make vivid points, and have them be memorable and inspirational? When I’m talking about storytelling for people in business, I’m not talking about writing a screenplay. I’m talking about how to use your five senses to be able to create a story through touch, taste, sight, sound, and smell. It’s called “visual storytelling,” and includes everything from the colors on your slides and the typeface you use to the images on your website and your app. What do people see when they walk into your office? What type of literature do you send to them? That’s all part of the story. So, for people in business who want to use stories in their day-to-day lives, they should think about how to incorporate the five senses, because this will make the presentation impactful and help people retain the information. If you’re trying to sell a product and share only the statistics and information on what goes into that product or how it’s made, that’s not going to be too memorable. Make sure that your information is personal and impactful. The way to do that is to make it fun and inspiring, through storytelling. Inspire your audience to try something new or adopt a different way of thinking. Take us through the process of how you develop a story, and explain how we as business officers can implement those steps in our day-to-day functions. When I am creating a story, I make sure that I can set up the whole idea for the movie/product in one sentence, which should take less than 10 seconds. I do that by creating a log line. This is where I establish the hero, goal, obstacles, and what’s going to change for the hero at the end of the movie. For instance, if I’m doing a pitch for “Finding Nemo” I set up the following: the main character/hero (the dad); the goal (the dad has to rescue Nemo); the obstacles (the distance between the Great Barrier Reef and Sydney, Australia); and the change (the dad goes from timid to brave). In the business world, your hero is the person/people you’re talking to and trying get buy-in on a product or idea. This might be the end-user or it could be a business-to-business situation. Whomever you’re trying to convince to buy that thing or adopt your idea, or to engage with you is the hero, who has a goal. It’s your job to help them reach their goal. Establish all the obstacles that are keeping them from their goal, and figure out what you can do to help them achieve the desired outcome. But, you need to be able to pitch that at the very beginning of your conversation/presentation. Condense your findings into one sentence and make that pitch at the very beginning. That’s what we call an “exposition” or a “setup” of the story. Set up the who, what, where, and why for the audience so that they will understand, from the beginning, the purpose of the meeting. From there, share a personal story that will resonate with attendees and that relates to the project. This is also known as “Act II,” where you share a common theme/story and you incorporate your data and statistics. Now that you’ve made a personal connection, it’s going to make it much easier for them to digest all the facts and figures. As you wrap up your pitch/presentation, bookend it with either the same personal story that you shared in the beginning or a success story related to the product/service/change you’d like to implement. You’ve worked with universities such as Stanford and the Haas School of Business at Berkeley. Why did they want to work with you, and what kind of advice were you able to provide? These institutions have hired me to humanize all the analytical information—make it more digestible and more memorable. I go in and find themes, and the best ways to share facts and information so that it will be retained long after the presentation. I teach them how to use anecdotes and how to be better storytellers so that they connect with their audience. Those of us in higher education are passionate about its purpose. We see higher education as enlarging the body of knowledge, equipping people to lead meaningful lives, and allowing them an entrée into interesting work. Yet, we’re not always the best at storytelling. What should we focus on—and what recommendations would you make—to become better storytellers? It’s important to humanize any information that you have with a story. Take your abstract ideas and talk about it in a real-world perspective. Humanize it by taking real stories and real people to make what you’re saying memorable. Also, since 80 percent of what the audience remembers is visual, incorporate persuasive analytics and design elements that will help tell the story. You’ll be speaking at the NACUBO 2018 Annual Meeting. What messages do you plan to convey to college and university leaders who are looking to gain broad, general support for higher education? As I’ve mentioned throughout this interview, the best way to take in information is to make it memorable and impactful with a great story. So, I plan to share the five points of what makes a great story. I’ll share how to take anything—even the most analytical subject—and inject into it a visually appealing story. Regarding animation, you consulted with psychologists at Pixar on researching emotions and how to influence a character to evoke real emotions. How did you make animated characters connect with people? And, to that end, what do you think leaders can do to connect with their stakeholders? At Pixar, we ended up working with Paul Ekman, who has studied people’s facial expressions, more specifically, their eye movements. Based on what we learned from him, people tend to look up when asked to recount or think of a visual moment in their life (e.g., the color of their front door when they were a kid); when people are asked to remember a specific sound (voices, audio, etc. ), they look across/horizontal level; and when asked to remember how something feels (a walk on the beach or sand in their toes), they tend to look down. Based on Ekman’s research, we made our characters’ eye movements mimic those of real people. Without realizing it, when people are watching our movies and looking at the characters, they are making an authentic connection with the character because their pupils are moving the right way. Even though it’s a cartoon character on the screen, the connection feels more natural, more real. When you’re thinking about how to implement this in your own life, think about your body language. Being conscious of your body language will help you better connect with your audience. As we know, the best leaders are competent communicators. They use storytelling, and they practice it enough so that it comes off as fluid and natural. Their body language is creating this authentic connection with their audience. What aspects of storytelling do you find to be the most difficult, and how do you work through that? The most difficult part of storytelling is making it authentic. Anybody can pick up a book, learn about the rules, and put together a story. But, it may not feel authentic. Think about if you were to go to a ballroom dance class. They can teach you all the moves and you can follow all the rules, but you might still look like a robot. What makes it authentic is practice. And, also, do you enjoy it? Did you enjoy dance class? Do you enjoy storytelling? You can learn all the elements of storytelling—the five plot points, the three acts, the hero’s journey, etc.—but the hardest part is making sure that it’s authentic and it has heart. In order to make it authentic, you have to allow yourself to be vulnerable when you create stories. That means taking things from your own life experiences and using them as themes. The great thing about storytelling is that it’s a way to make a personal connection. It’s also good to remember not to share too much too soon. People love to experience a story in pieces, allowing them to put the puzzle together on their own. If you hand them the whole puzzle upfront, it’s not as rewarding. LYNN VALENTER is vice chancellor, finance and operations, Washington State University Vancouver, and secretary of the NACUBO Board of Directors. The most difficult part of storytelling, says Matthew Luhn, is making the story genuine. Share things from your own life experiences. Use body language to help better connect with the audience. Don’t share too much too soon. 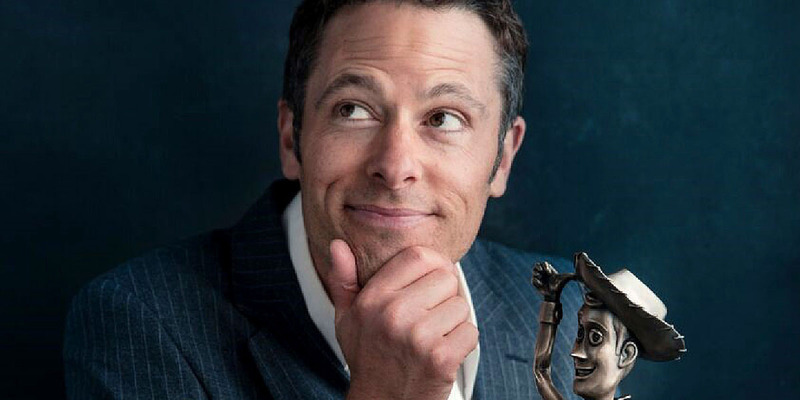 On Sunday, July 22, during the first keynote address of the NACUBO 2018 Annual Meeting, hear Matthew Luhn discuss the five essential parts of storytelling, and how business officers can incorporate personal stories into their communications to create more memorable and impactful interactions with business office staff and other institutional leaders.